Decent plot… Great action …Jason Stanton… What’d you expect? Grade. B+. 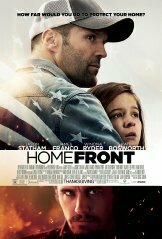 Jason Statham does it again… Good action… Nice plot… semi twist in the middle… Grade. A.